I love Fall weather, and if you are like me, you can’t wait to dive into your Fall attire. Lately this has been a challenge because the Fall weather in North Carolina feels more like Summer weather lately. With that being said, I have not had many opportunities to wear my cute, cozy sweaters. 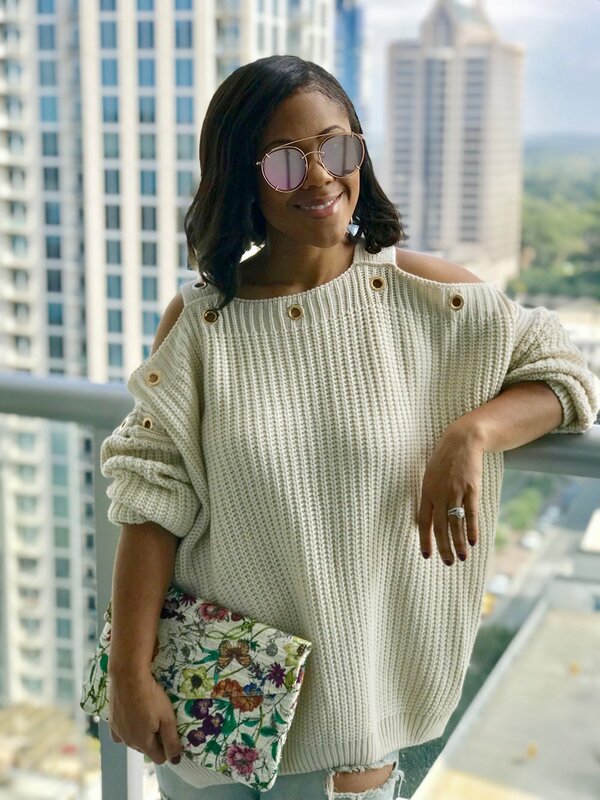 A great style tip to help with Fall transitional weather is wearing oversized sweaters that are lightweight and have an off the shoulder or cold shoulder detail. This allows you to wear your Fall favorites without being too hot. Do you have any style tips for Fall transitional weather? 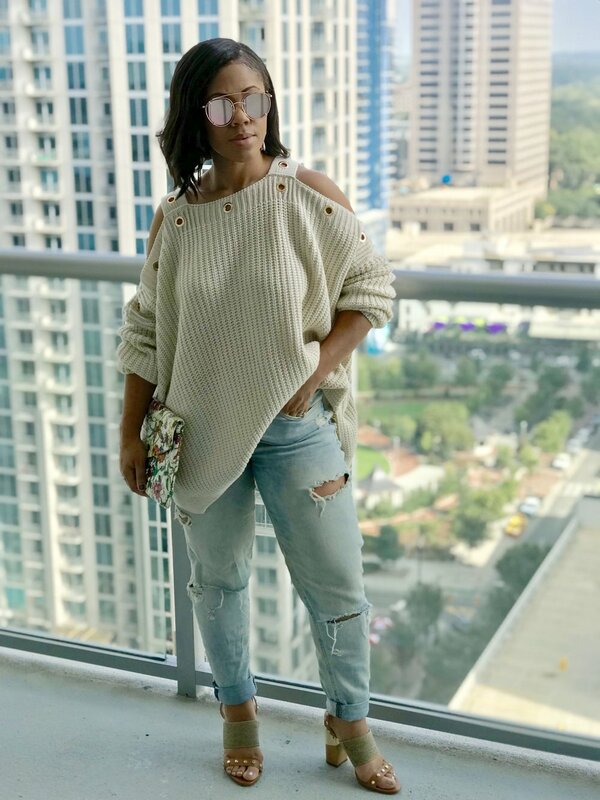 Shop other cozy sweater styles that I love below!